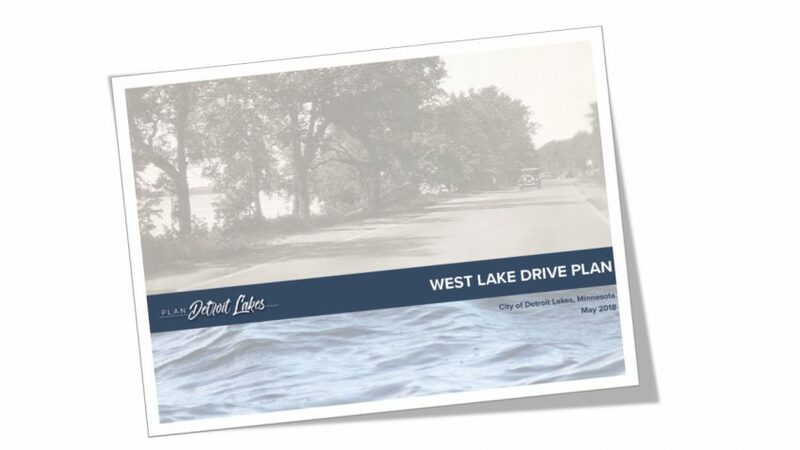 After months of planning, the Detroit Lakes City Council and Development Authority met on January 25th to review the concepts for West Lake Drive. The planning team presented the concepts that emerged from the beginning of the process, changes along the way, and possible implementation strategies. 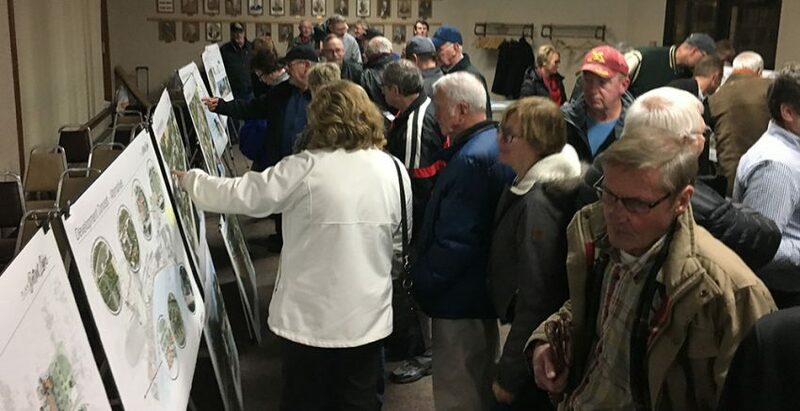 The first draft of the plan will reflect feedback received from that meeting, and be available on this site in late-February. January: Present concepts to City Council and Development Authority. Download Presentation. Afterwards, refine concepts and prepare publication. February: Refine first draft of the publication. 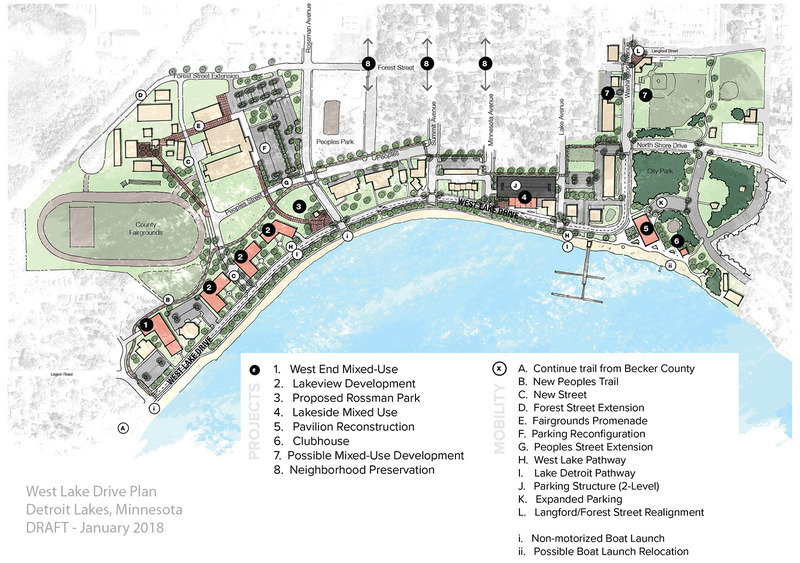 Post plan to this site for additional public review and feedback. The project team continues to adjust concepts, responding to your additional input. The results of the planning process will be discussed at the City Council's upcoming work session on January 22nd. Here's your chance to view an update of the plan. Thank you! 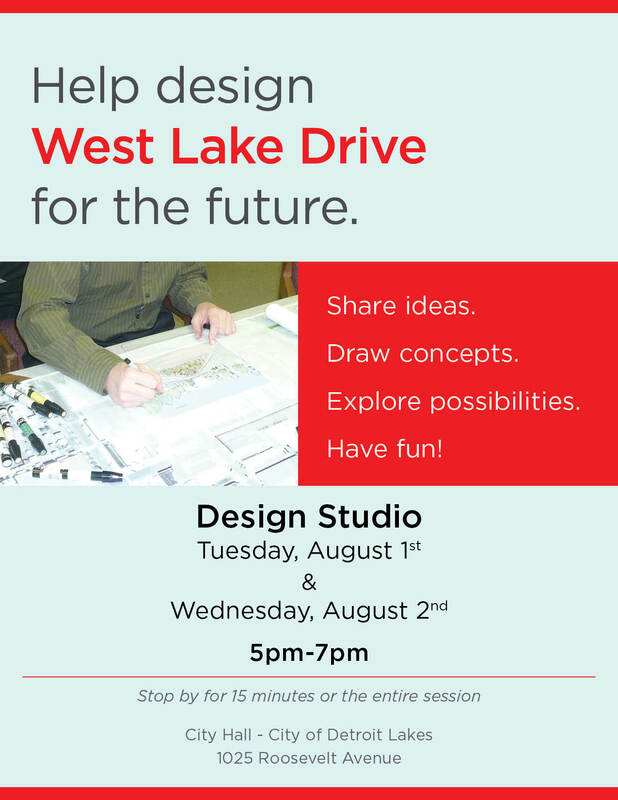 Thank you to everyone who participated in the Design Studio. Your input was extremely helpful and, so far, we sense that we're finding agreement for the preliminary concepts. What's next? During August and September, the design team will refine the preliminary concepts. 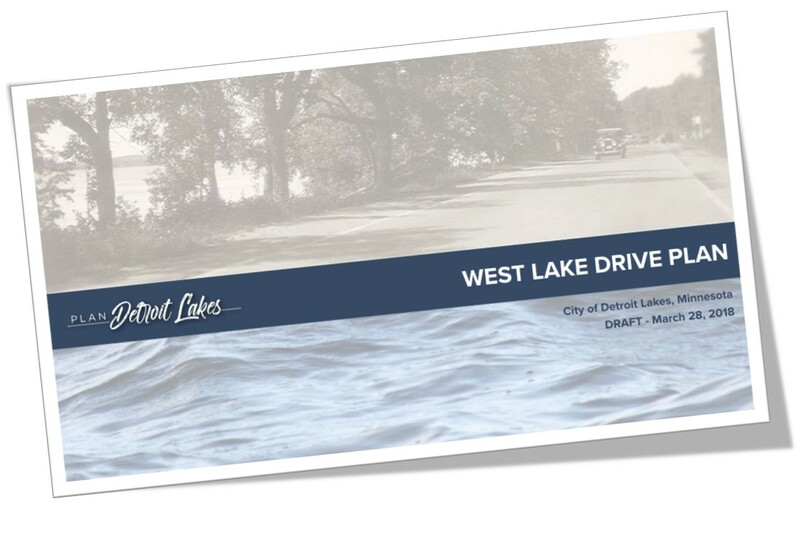 The team will then share the refined concepts with the Detroit Lakes Development Authority for review. 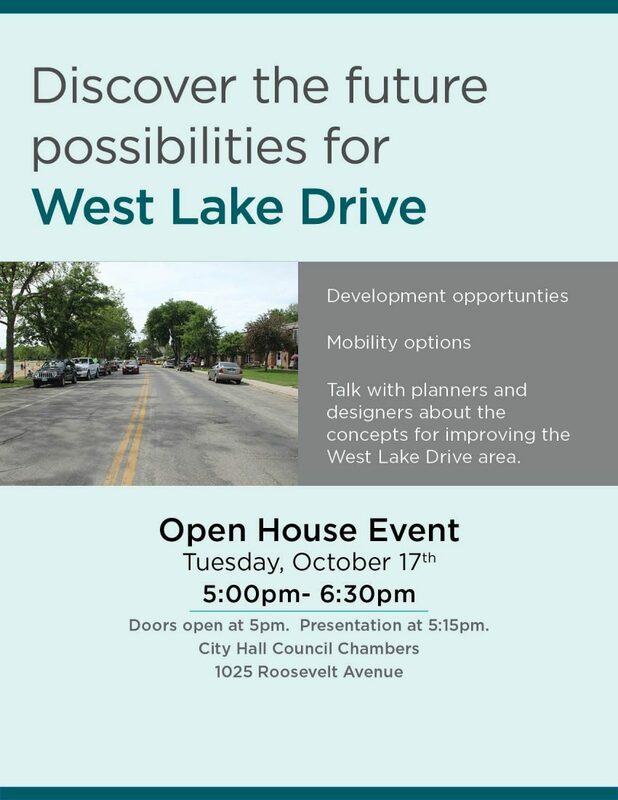 The intent is to vet the concepts for errors and omissions before hosting a public Open House, which will likely occur in October. We hope that you will be able to attend and provide additional feedback! Stay tuned for the meeting announcement.